This is a free WooCommerce WooMultistore Add-On for WP All Import that makes you able to use the great import plugin WP All Import (wpallimport.com) to import your products to several stores at once and have the products synced. 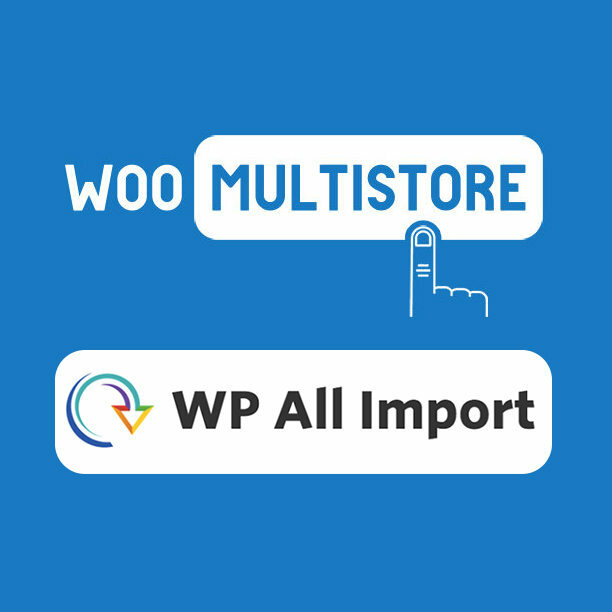 To use it you need to install our WooMultistore plugin, WP All Import + the WP All Import Woocommerce Product Import Add-On. Using Wp All Import you can import all your products from a file. 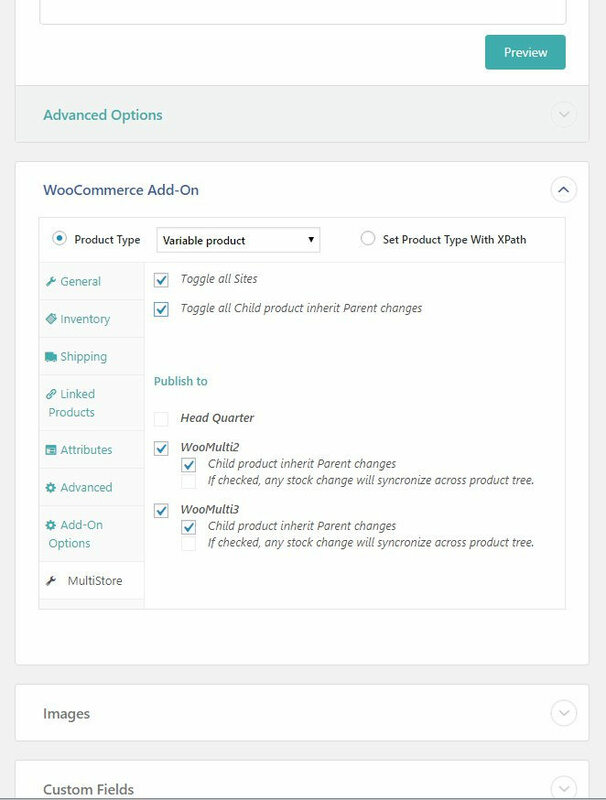 When you have activated the WooMultistore Add-On you will get a new tab in the WooCommerce box, the new tab is called MultiStore and when you click on it you will be able to decide which stores the products will be imported too. See the image below.